Have you suffered a broken coccyx, dislocated coccyx, coccyx fracture or another coccyx injury in an accident that wasn’t your fault? If you suffered your injury that was caused by another party’s negligence then you could be entitled to thousands of pounds of compensation. Trust Legal Expert to help you claim the compensation that you are entitled to. We are a trusted legal advisor, who can match you to the solicitor with the right expertise to help you win your case at no extra cost to you, including no win no fee solicitors. So call Legal Expert today on 0800 073 8804, to see if you have a valid claim, and hear an estimate of how much compensation you could receive. The coccyx is the last bone at the bottom of your spine, also known as the tailbone. A broken tailbone can be very debilitating. Injuring the tail bone can cause coccydynia, which means constant pain in the area around your coccyx. In this case study we are going to look at the case of Mr P – as we have called him here to protect his privacy, a self-employed man in his 40s who suffered a serious coccyx injury in a road traffic accident. Mr P was cycling to work when a car collided with him, as he tried to exit a mini roundabout. Mr P was thrown from his bike and landed on his left shoulder and arm. He also hit his head on the tarmac but was, fortunately, wearing a helmet, preventing him from getting a serious head injury. How Common are Cycling Accidents In The UK? Sadly, cycling accidents are relatively common as cyclists are a vulnerable group of road users. Cyclist’s vehicles do not have an outer casing to protect them, unlike cars, or buses. According to RoSPA, in 2016 102 cyclists were killed on the road, and 3,397 cyclists were seriously injured. Other road users such as people driving cars, vans, buses or lorries are responsible for not endangering cyclists when driving near them on the road. What injuries did Mr P suffer? Mr P was taken to hospital by ambulance, where he was diagnosed with a hairline fracture to his ankle, and extensive bruising to his coccyx, left shoulder, and arm. After being discharged his wife has cared for him at home. As an immediate result of his injuries Mr P had to miss several days off work and use crutches, due to the physical pain he suffered. Although after several months Mr P’s fractured ankle healed and he was able to resume daily activities, including working and cycling, he was also diagnosed with a condition called coccydynia, which was caused as a result of his injuries. This condition left him with severe pain around his lower back, especially if he sat down for too long, or stood up after standing. Although Mr P has undergone several tailbone pain treatments under anaesthetic and physiotherapy, the results of the treatment were only temporary. At the time of the compensation claim, Mr P was awaiting surgery to have part of his coccyx removed, which is an invasive form of tailbone pain treatment, which he would understandably rather avoid. The driver that hit Mr P did not contest the accident claims and admitted liability through their solicitors. Mr P’s legal team negotiated a broken coccyx compensation settlement of £27,000. If you have suffered from a broken coccyx, fractured coccyx, dislocated coccyx or another coccyx related injury which has caused coccydynia, in an accident that wasn’t your fault, then you may be able to sue for compensation. Choosing a personal injury solicitor who offers a no win no fee service means that you only have to pay your solicitor’s fee if you win your case for compensation, meaning there is no financial risk to you. If you are interested in using a no win no fee solicitor to handle your case call or email Legal Expert today to be matched with a solicitor with the right expertise to handle your case. Have you suffered from a coccyx injury in an accident that wasn’t your fault. Whether it was a road traffic accident like Mr P’s, an accident at work or an accident in a public place like a shop or cafe, if the accident was caused by negligence on the part of someone else, you could be entitled to broken coccyx compensation. You could claim compensation for the broken coccyx long-term effects and the pain and suffering that has been caused, expenses for medical treatment you have had to undergo, loss of income and general damages. If your injury caused you coccydynia, a coccyx fracture or a dislocated coccyx then you could claim compensation from the person or party responsible for your injuries. We are Legal Expert. We work with some of the UK’s best personal injury solicitors, including solicitors with over 30 years experience of helping Claimants like you. Call us now on 0800 073 8804 or email at info@legalexpert.co.uk for your free legal consultation. We will advise you whether or not you have a valid case, tell you how much money you could claim in compensation and match you to a solicitor with the right expertise to handle your broken coccyx claim, at no extra cost to you. 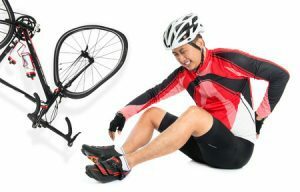 How Much Compensation For Cycling Accident Claims? Helping and advice for claimants involved in a cycling accident. This includes advice for claiming compensation for injuries sustained during accidents. An NHS Guide to the causes, symptoms and treatment of coccydynia, also known as tailbone pain.